It’s not hard to find a plumber to install fixtures in a home. But If you want one whose reputation is rock-solid dependable and whose service is second to none, you’ll have to do quite a bit of searching. Your search will end with Good News Heating and Air. Good News Heating and Air is a bastion of plumbing and HVAC expertise, all done with great personal service. On the job since 1982, they have worked their way to the top to become the installer of choice for quality builders and conscientious homeowners. 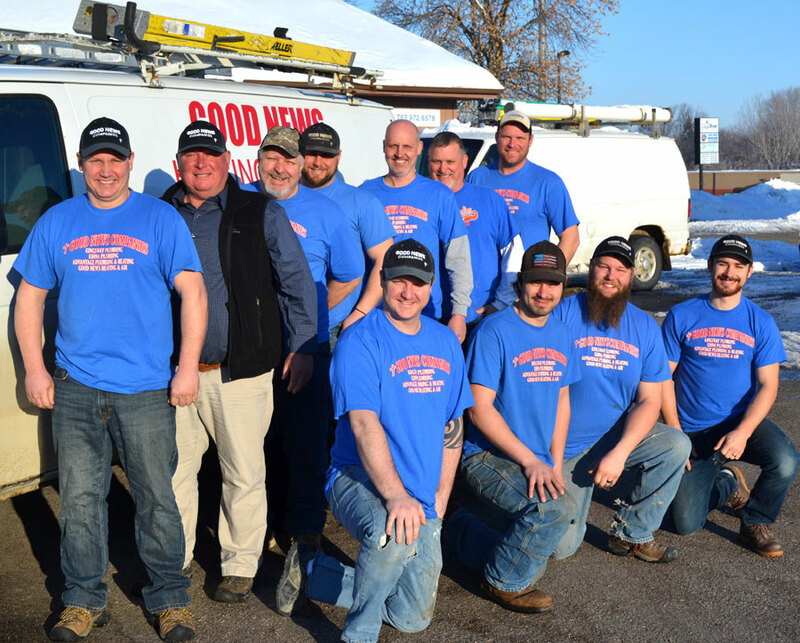 Good News Heating and Air services the Minneapolis area and is based out of Delano, MN. Their services include HVAC and Plumbing. With decades of experience and a great reputation, Louis King has built a business that has lasted the test of time. He has made it his mission to provide a great customer care experience. Good News Heating and Air works with builders, rental agencies, and most of all homeowners. His team of certified plumbers and HVAC technicians are professional and personal, so you can rest assure you’re in good hands. NOTE: Entry-level builder-grade products do not come with a No Hassle Replacement™ limited warranty.